Good day fellow VFK players/ Miss Clue users! So lately, I have gotten more into poetry and writing poetry and stuff, and I wanted to share it with y'all! This discussion will be a place to post any poetry you've written and would like to share, and to help uplift others about their writing skills. 1. No hate comments please. You can make suggestions to help improve writing if you think it would help, but please always be nice to others! I wrote this on November 12, 2018, the day we had our first little bit of snow for the winter in my warm place of residence. For those of you who do not know, this is a Haiku Poem. It's a common Japanese poetry form that usually, but not always, has to do with nature. It follows a syllable pattern of (5,7,5). I also had a more lovey-dovey one that was written for my crush. Hehehe. So I'm not sharing that one right now. This next one is about Stan Lee, the creator of Marvel. I did add a little bit in here to have it make more sense. Enjoy! Sorry I'm posting so much. I just don't want to have one really long post. I also wrote one that said "Just Monika" several times as satire cause I wasn't sure what to write so yeah. I also came up with the quote "Nobody is TERRIBLE at anything. They simply have a different style of doing things." My Next poem is a bit lovey-dovey but not like over the top. I did use a quote from Yuno Gasai (Future Diary (みらい にっき )) in here. Enjoy. Okay, I hope you enjoyed that! I have one final one to post and I may be gradually adding more to it. Nice poems @HBforever! They have a lot of feeling in them! Ooo I love poetry @HBforever!!! I have a poem let me post it! Also if you want you can look at my story I'm posting! I can't imagine him another way! It's not the best, but I thought I'd share it!! That's an awesome poem goldenpuppy! 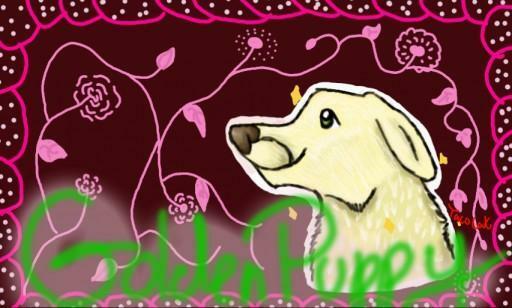 @goldenpuppy That's amazing! Great job! I’m not going to post my entire poem here, because it is graphic, but I will post a bracket of it. I wrote this poem for my Uncle who was lost to 09/11, he came here earlier before my family did from Italy and he served as a first responder! “...With your presence, there’s a hero we can always find. We hope one day the world won’t be so blind. that you’re needed and your heart is so true. You’re wonderful in a time that it’s found to be so rare. Please remain honest, and we’ll always be there. You know forever, we should build an actual “poetry cafe” room in vfk as well. Aw Coco that's so sweet! Thank you for posting! It's great! Okay story time. I'm going to tell y'all about what inspired me to get into writing poetry. So you might be wondering, "Forever, why DID you start writing poetry?" The answer: Doki Doki Literature Club. Mostly because of how Monika (or maybe it was Yuri...?) mentioned that poetry is a creative way to express yourself, and I was like, "I wanna do that too!" Thank you so much @Strawberryicecream and @HBforever! @sugarandcoffee that was so touching it makes me want to cry! @HBforever Lol, we can build a room to look like a cafe and recite poetry? XD It's something else to do in the game, besides our little adventures. These are really great poems everyone, @goldenpuppy you are so talented at writing! these are wonderful poems! i loved reading them. in my senior year of high school i chose Poetry class for my english requirement. i love haiku and limericks! @sugarandcoffee - i know you don't want to post but i would really be interested in reading your entire poem about your uncle. i am a native new yorker and had just passed by the twin towers that morning. i used to always look up at them, they were so majestic. we went to Windows on the World in July of 2001 for dinner and my twin daughters, who could see the twin towers from their bedroom window on the third floor of our house, were so excited to be there. they used to call them "our twin towers - twins like us!" they were 5 years old. thankfully i didn't lose anybody very close to me, but i do have a lot of friends who did. nevertheless, all the 9/11 attacks affected the entire country. one of my favorite memories was driving south on the FDR drive on my way home from work one sunday morning at 6:30 am and seeing beautiful double rainbows spanning across the east river from brooklyn and ending behind the twin towers! so if you are ok with it, pls send the entire poem to me, or the parts you want to send, in a private message. i'm so sorry for your loss. your uncle will always be remembered as a hero who gave unselfishly to help others and with lots of love by your family. @mamasama I didn't know you had twins! That's so cool! Okay! I'm super excited for today, because I have TWO new poems to share with y'all! Okay! The first poem I have to share is called "Differences"
I'm not as confident in this one as I am my other ones, but here we go.. While I fade into the background. That was the main part of the poem. This next part is probably considered the chorus because I originally wanted to write more and turn it into a song. Our differences can make us stronger. Show them what we can do. That's so cute, I love the gesture. Although, there's only one thing I might add, I'm studying to become a radiology therapist that works with cancer patients. I'm not doctor status, lol. My mind would go to mush.